Bear Bryant could tell me about the Vandy game-day meetup he had with a U.S. president at this historic West End hotel. 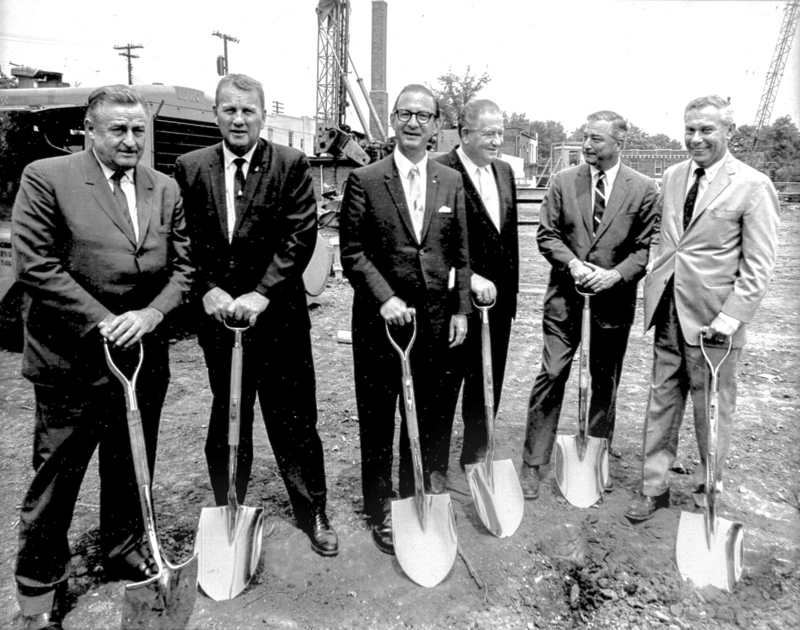 He’s dead, of course, as is that president, so I can ask neither about that day or their reflections as the Holiday Inn by Vanderbilt celebrates its 50th birthday. Bob Dylan stayed here at least once and could tell me about the hospitality of the housekeepers and staff who served him here. He’d likely shrug and say: “You gonna have to serve somebody.” It might be a traveling salesman or a troubadour. The actual Allman Brothers also stayed here. So did Prince. Johnny Winter, too. I no longer have the area code for those fellas. Likely won’t get it, either. Hell, Taylor Swift might have teenage memories of playing the Commodore Grille adjacent to the hotel lobby, but she’s plenty busy being a cultural icon. Then there’s the drunken Santa Claus I met in the bar 44 years ago. 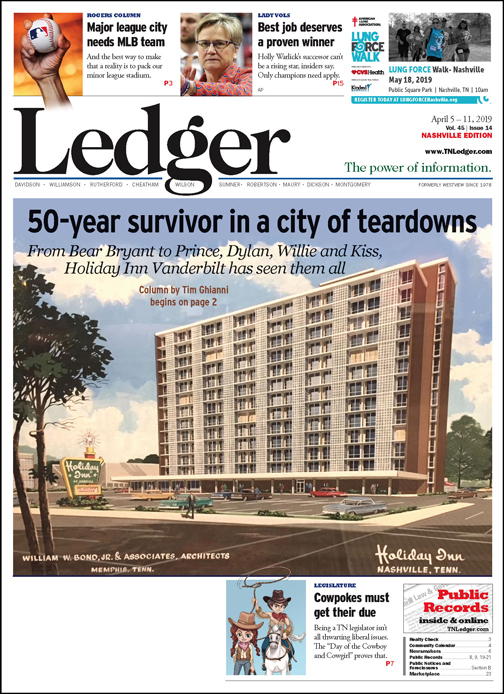 But even if I could find him, I doubt he’d remember enough to contribute to this column noting the 50th birthday of the hotel at 2613 West End Avenue. Seemingly, most of “old” Nashville and its classic skyline that Dylan memorialized, along with his “big, brass bed,” has been erased and replaced by so-called “bigger and better” offices, restaurants, condos, yoga studios, tall-skinny homes and a growing flotilla of hotels. Standing outside this building as cars with California license plates roar past, I look back on the rare exception that is this hotel. The fact it’s still here as old walls come tumbling down – replaced by near-anonymous glass-and-steel structures – all around the urban core deserves celebration. Despite the occasional facelifts, this is the same building that was “the hotel” in Music City … whether you were a touring poetic proselytizing picker, or you employed an almost incomprehensible drawl/grumble escaping from beneath your houndstooth short brim to greet our nation’s clumsiest president. This hotel, considering its history and longevity, should be considered a Nashville landmark. Still, inside the whipped-cream-with-shavings coffee houses and craft beer and bourbon emporiums, patrons and the patronized likely couldn’t give you directions to this building that has the distinction of staying put for a half-century while newcomers and late-arrivers thrive or go bust. “I think sometimes we get lost in all the crazy trends in Nashville,” says Holiday Inn general manager Thom Druffel, as we relax in the lobby that used to be the restaurant until so many other dining options sprung up around the hotel. This Holiday Inn’s been “his baby” for the last 17 years, and he proclaims it his beloved final stop on a career in the hospitality biz. “Nashville wasn’t always just about Broadway,” Thom adds. Lower Broadway is a somewhat comely Honky-Tonk Disney World, a fabrication of city fathers and mothers and their beloved developer pals who seek tourists who will stumble through the boot stores and the eating parlors – some named for Blake and Luke and Dierks and their mostly interchangeable colleagues. Expensive food and drink, frosty mugs of light beer, cowboy/cowgirl footwear, knickknacks, carnal intentions and hangovers are all on the menu down there. Get your picture in front of a mural the next day. Clasp hands with the Trump and Kim poseurs (in this case, guys in costume). But before the resurrection of Lower Broadway and the seemingly daily announcements that a new hotel – likely with a pickers’ lounge and dining room offering calamari, deep-friend pimento cheese and sweet tea – is going to be built to host single-malt-fueled conventioneers, loose-legged-by-inebriants bridesmaids and silly swillers on scooters, there really wasn’t much down there. Tootsie’s Orchid Lounge, Robert’s Western World and a couple of others stood frothy sentry on a row of degenerating buildings, sticky-floored peep shows, beckoning prostitutes and Roger Miller smoking cigarettes at Linebaugh’s. Course I was a young man, and that was decades before the tower cranes descended like locusts on the city. “You see all these new hotels opening,” Thom says when discussing the rapidly changing “face” of Music City. He welcomes the newcomers to the fray and has enjoyed the company of fellow hoteliers who can’t compete when he talks about legacy and heritage. “But we were a part of Nashville before anyone else,” Thom continues, looking around the Holiday Inn lobby. He adds that as far as he knows, the only other “first-class” hotel in the city’s business core that predated his was The Hermitage. Course there was the Andrew Jackson downtown then, but that was a place for lovable losers, no-account boozers and honky-tonk heroes kinda like me, to paraphrase Waylon Jennings. There also was a worn “residential” motel associated in some way with a package store over near Demonbreun. Can’t remember which street, as the landscape has been detonated and repurposed, but about 35 years ago I wrote about a knife fight or maybe a murderous robbery at the motel/liquor store. It all blends together… and I’m gettin’ old. Thom, the Holiday Inn boss and historian, looks toward the front door facing West End and across it to Centennial Park. “And we’ve got the Parthenon right here, and that’s pretty exciting, too.” The world’s only full-scale replica of the Athenian treasure and its surrounding gardens and duckpond makes for a nice stroll for hotel guests who’ve managed to travel 20 blocks from the boot-scooting neighborhood with neon skies perhaps visible from the space station. It is the charm of the Holiday Inn, its location and the city it hosts that has kept Thom, 67, and his family in Nashville, settling into West Meade after a life of on-the-run assignments scurrying up the hospitality industry executive ladder. “When I got to Nashville, I fell in love with it. Fell in love with the hotel. Fell in love with our community,” he says. And his love of the half-century-old hotel is why he planned for a big birthday party April 11, 4-6:30 p.m., at the Commodore Grille and spilling out into the hotel lobby. Legendary Alabama football coach Bear Bryant housed his teams at the Holiday Inn. 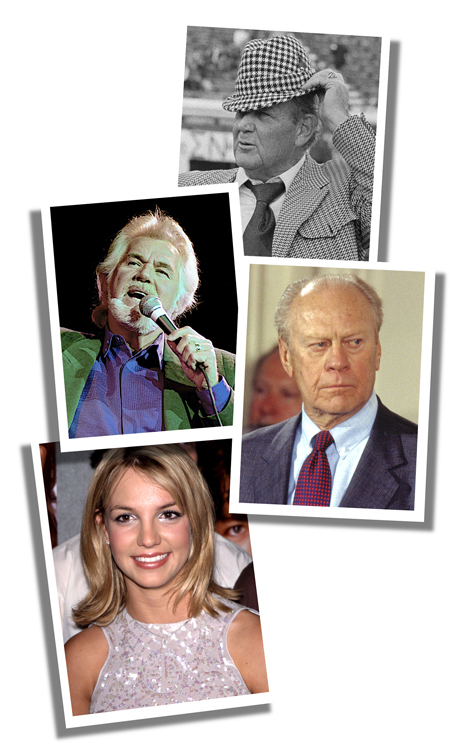 Others who visited include Kenny Rogers, President Gerald Ford and Britney Spears. “It’s all about the people,” Thom says. He’s not just speaking of the overnight guests – though he loves them. It’s the pickers, the grinners, the dancers and the sinners he relishes as well, as the hotel bar hosts this birthday party, just as it has lubricated happiness for a half-century. “Almost everybody who comes here has a story about the Commodore or what was called The Crafty Commodore in the early years,” he says of the lounge that for most of its 50 years has been a singer-songwriter mecca. “It (the club) is all about having a good time, meeting guys and gals there. Getting enjoyment there,” he explains. “I’ve heard it said that people used to fake their IDs so they could get in here. Course, back then, drinking age was 18,” he adds, shrugging while recalling unsubstantiated “tall tales” of that 20th century high school rite of passage, a behavior that is a mystery to me. “It’s one of those kinds of things, a place for a good time,” he says, scanning the lobby from the lounge to the front desk, where employees are busy on telephones and punching bookings into the computers. Cheery and sweet Anna Nelson, 65, has spent 37 years – her entire working life – as a housekeeper at this Holiday Inn. “I did supervising a little bit, but I didn’t want to do so much walking,” she says after completing her “9 a.m.-until we’re done” shift. She prefers being a regular housekeeper, freshening 15-17 rooms daily. “I like to do my job and then come on out of there,” she notes. “At first I was just looking for a job. This friend of mine called and said ‘Holiday Inn is hiring.’ We went over and put in applications. They hired us both. 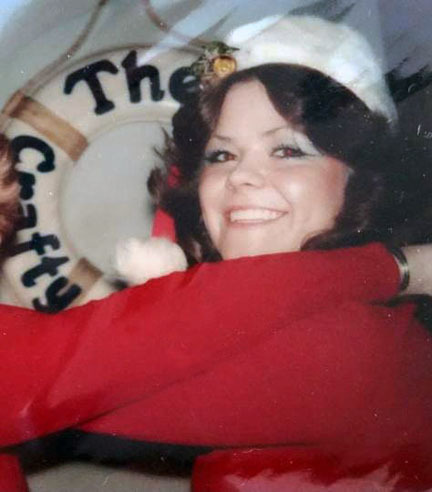 While her friend left after about a year – “she didn’t have any children to take care of” – Anna has stayed and enjoyed the benefits, like the team-building bingo games held for the staff and the employee meetings that once included a TV door prize she toted home. She admits to pondering retirement – she is at that age, after all. But she’s in no real hurry to check out of the establishment at which she has worked through all the remodeling and facelifts. “We stay busy,” she says. “Only time that we had slacked up was during the Christmas holidays and during Thanksgiving. All the rest of those times, we’ve been busy. Well, there is one minor woe, she says when pushed: Guests don’t leave generous tips, for the most part, for housekeepers. “They come here to Nashville, and I guess they’ve just got enough money to have a good time.” She laughs at the joke she likely shares with her cohorts. Before hotels sprouted up, most traveling artists chose to stay here: Prince, KISS, The Allman Brothers, Dylan, Edgar and Johnny Winter, Kenny Rogers, Britney Spears, Willie Nelson, Lauren Hutton, Vanessa Redgrave were among the guests. Songwriters have had at stage at the Holiday Inn for most of its 50 years. Some of those who have performed there even formed a touring baseball team. Pickers at the Commodore included many of the folks from the nearby Music Row writing factory. Guests who have shared that stage include Garth Brooks, Vince Gill, Taylor Swift, Kix Brooks, Kenny Chesney and Faith Hill, according to hotel publicists. 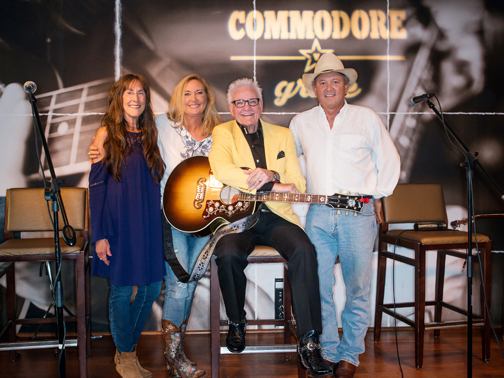 The great George Jones, by the way, is on the list of hotel visitors, so perhaps a little late-night, whiskey-throated “He Stopped Lovin’ Her Today” even echoed from the stage. Don’t know if he parked his lawnmower out front. 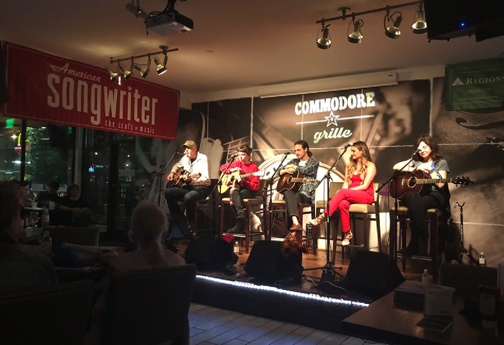 Singer-songwriter nights still are a staple of entertainment at the Commodore Grille. Jerry Foster, 83, still comes down to work out his stuff … just as he’s done since the early 1970s. In addition to writers taking their turns to try out songs, the fellowship of songwriters who gather here is important, he points out. Heck, they even took it on the road, though substituted bats and gloves for guitars. That member of the 1950 Philadelphia Phillies “Whiz Kids” – he pounded out a pennant-winning homer off Brooklyn Dodgers ace Roger Newcombe – lived in Nashville and called the shots as the barnstorming team of country pickers played exhibition baseball games against old-timers’ rosters and the occasional “ringer” in Major League parks. The Commodore’s “Nashville Pickers” ballclub lineup included Jerry Reed, Roy Clark, Bill Anderson, Charley Pride, Bob Luman, Tommy Cash, Charley McCoy and Lloyd Green, Jerry recalls. “I was the captain,” he adds, explaining the celebrity games were played at major league parks before the main attraction. The musicians staged a concert to close out the evening. “It was an interesting two or three years,” he says, explaining that the old hotel had an important purpose when it came time to plot out lineups, strategy and, of course, wash it all down with beer or other preferred beverages. Club soda with lime, perhaps? “We kind of used the Commodore as a place where we met and hung out, so we had our team meetings there,” Foster says. By the way, my great friend Lloyd Green, one of our city’s true gentlemen and the last of a breed of understated genius steel players, wasn’t really a nightclub guy, never was or is, unless he is getting paid to play. But he does remember misadventures with that ballclub and playing against old-timers as well as “ringers” … like a young Willie McCovey. “The Nashville Pickers” were a hit on the diamond. The guys who made up the lineup also often tried out their songs or listened to those of their brethren at the Commodore. “The Commodore became very popular,” says Jerry, perhaps best-known for his hits written with Bill Rice, like “The Day the World Stood Still” and “The Easy Part’s Over,” both sung by sluggin’ Charley Pride. “The Commodore has kind of evolved, yet it has stayed the same,” Jerry says. “It’s been a great place for me, a home for me. He notes there was a gap when the Grille, the Crafty Commodore or whatever the club was dubbed at the time, was devoted completely to dance bands. Heck, it really succumbed to the disco craze, with polyester-decked folks lining up outside just to do a little dance, make a little love, get down tonight. Disco and dance bands didn’t keep Foster away, though. “They always had good entertainment. It was just a good place to go grab something to eat, grab a drink, listen to music. It was pretty cool. Sometimes we’d rent a hotel room and have a round together,” he remembers. A Crafty Commodore life preserver played a role in international relations when former British Prime Minister Harold Wilson needed a souvenir during his stay. For the last 15 years or so, Debi Champion has been organizing and staging singer-songwriter shows every Sunday, Monday, Wednesday and Thursday. “They have a lot of tourists who will come down and listen. I remember it was about ‘74 when I started doing some rounds,” Jerry says. “I sometimes do two or three times a month there now. “It’s a great, friendly place. The service there is really great. The waitresses and waiters are pretty. “I said one time, the real good thing about the Commodore is the location. It’s kind of away from all the hustle and bustle downtown, but not too far if you want to go there. “It is where veteran songwriters can associate with the new kids that are coming in,” he says. “A lot of the writers that are having a new CD will have a showcase there. … It’s more for the writer than the recording artist. Some have one hit, some have two or three,” says the songwriter who once split a cheeseburger with famished Elvis while swapping road stories at a roadside cafe. That’s another story, another day perhaps, though I should note that, when it finally arrived at the table, Elvis split his cheeseburger with Jerry. “The Commodore, it offers the whole thing: You can eat, you can drink, you can have a conversation without worrying about anything. And you can hear some real good music,” Jerry continues. Singer-songwriter and bartender Brian Bailey did perform at the Commodore, but for 20 or so years he was better known as the guy with the ice and drink shakers. Dead Elvis created one of Brian’s fondest memories of the hotel and its bar. “I was working and it was January 1978. Elvis had died in August 1977. He was interrupted by a phone call from a friend/customer from Memphis. The man asked if Brian could keep the place open later than normal. “I’m on the way to Nashville with some of Elvis’ family,” the man said. It was a day or so before Jan. 8, Elvis’ first birthday as a dead guy, and the family wanted to get out of Memphis, avoid the swarms of mourning fans who were expected to mark that date with wallets filled with tears. “He said there were 21 or 22 people. I said ‘I’ll hold everything open ‘til you get here.’ I set up these tables, got silverware lined up.” Chef long gone, he wrangled up cold cuts and salads and waited. “Around midnight, they got there.” And he began serving them. And consoling them. “During the course of the evening, they were sitting there talking about Elvis, when he drove a truck, when he did this, that, when he was in school,” Brian recalls. Ancient melancholy still flavors his voice when talking about that night, again one in which the hotel displayed the neighborliness that has helped keep it vital to this day. Then there’s the time former British Prime Minister Harold Wilson stayed in the hotel and went to the bar for a snifter full, snoot-full or whatever. He enjoyed himself and asked for a souvenir to take home and show to the Queen or at least his drinking pals. He was presented a “Crafty Commodore”-labeled life preserver that was hanging on the wall of the nautically-themed bar. He likely flashed a Churchill victory sign when he left the bar to begin his search for the elevator. “We had all kinds of people that came through there,” Brian says. “That was the only hotel on West End Avenue” of any significance. Since it pretty much backs up to Vanderbilt Stadium, it was home for the football teams coming into town for Saturday games. He remembers meeting Oklahoma coach Barry Switzer, for instance. But it was The Bear who casts his mighty shadow over the former barkeep’s football memories. “Alabama (The Crimson Tide, not the band) would stay there, and I remember having a couple of encounters with Bear Bryant…. I was sitting at the lobby bar, right next to the house phone. Bear Bryant was trying to call his coaches. Another weekend, when he was working the lobby to take care of the bar overflow, “Some guys walk in with business suits on, and in walked Gerald Ford,” Brian says. “It was after he had lost to Jimmy Carter,” ending Ford’s 895-day presidency. The guys in suits – Secret Service – and the former president got in the elevator. He was going upstairs to see his friend Bear Bryant. Debi Champion, who re-established the writers nights 15 years ago, had overseen similar events elsewhere in town before finding her home at the Commodore Grille. “I schedule, play, host, do their sound and then go home and come back and do it over again,” she says. “God’s kind of used me” to help introduce younger writers to veterans. In addition to writers who have picked up deals or demo work by performing in the Commodore, there are the tourists, many of whom stay in the hotel. And, oh yeah, about that drunken department-store Santa Claus mentioned toward the top of this tale. It was about 44 years ago, and I was a young sports writer in Clarksville. My two bosses – Gene Washer and Max Moss – and I came with our local basketball team, Austin Peay State University (during its outlaw-roundball-school heyday), to a holiday tournament at Vanderbilt. Sportswriters have been known to get thirsty, so when our evening concluded, we elected to stop at the Holiday Inn lounge for a beer. Over in the corner, Santa was passed out, whiskers kissing the beer foam.